Swoon’s 5th annual Silent Auction Fundraiser benefiting Almost Home Kids was a fabulous success! Masses of thanks to AHK Board Member and Swoon CEO Michelle Baker, Jessica Henry’s Swoon’s Fundraising Committee Chair and the Swoon Fundraising Committee for hosting the most amazing event! The main fundraiser and the several other fundraising efforts including a cool Valentine’s Day card drive and Penny Fundraiser have combined to make Swoon one of the leaders in company fundraiser initiatives, and we can’t thank them enough for making such an amazing difference at Almost Home Kids. Swoon was founded to create a new standard in staffing. Our job isn’t about filling seats. It’s about connecting people in a way that helps careers and businesses grow. In 2010, we launched an agile, client-focused team that’s not only savvy in our core industries, but elbow-deep, every day, getting to know the strongest talent in technology and professional fields. We know the best and brightest can’t be found on job boards (they don’t need to be there). We need to know them! So, we do. Swoon hosts events. We sponsor activities. We go to the meetups and socials they already attend. Why put in the extra legwork? Because it’s personal. Because it makes a difference—for our clients and our contractors. 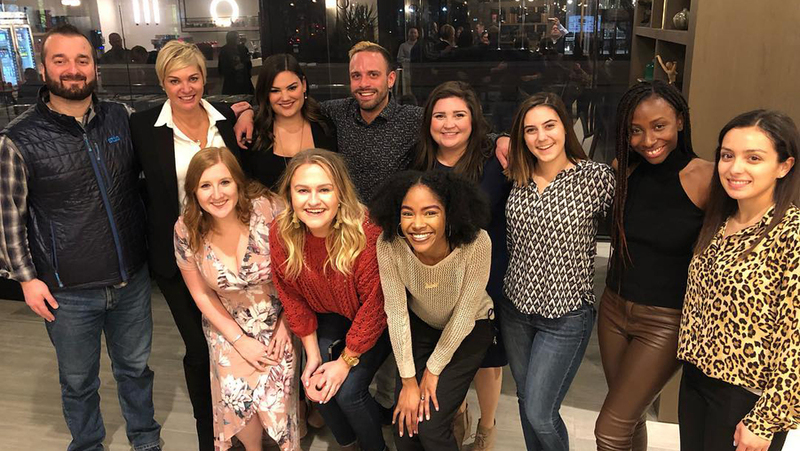 Today, Swoon is the 20th fastest-growing staffing company in the U.S. with an expanding client roster of Fortune 1000 companies, best-of awards and legions of talented people in our network. Let’s talk about how we can make your company swoon, too.